The love affair between car enthusiasts and the Ford Mustang has lasted over 50 years. Ever since they unveiled the first Mustang in April 1964, people all across the world haven’t been able to get enough of Detroit’s favorite pony car. Over the years, Ford has produced over nine million cars. This has made it the Mustang one of the most successful nameplates in the company’s history as well as in the entire car industry. So, what is the secret of the Mustang’s appeal? It is the perfect rumble of a performance V8 engine with a touch of luxury and good looks. They put it in an affordable package with a long list of options, too. Lastly, Ford created an image and legend for the Mustang, which was an integral part of its appeal since day one. However, not all Mustangs were instant classics and collector’s items. 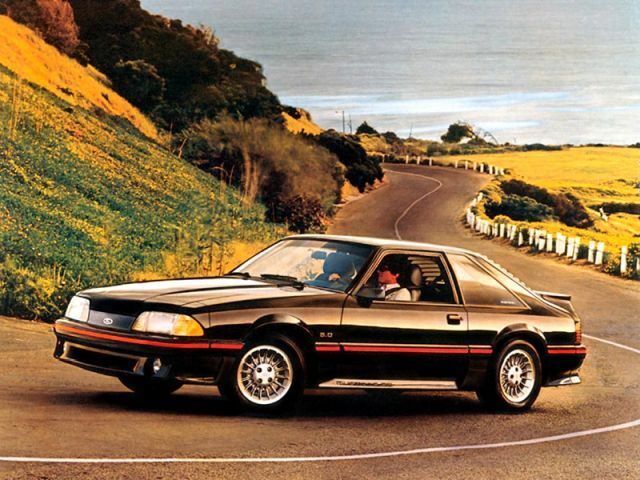 In fact, over the years Ford produced quite a few mediocre Mustang models or versions. Sometimes the standards of the industry forced the Mustang to be docile and more of a pony than a wild horse running free. Other times, a long list of options meant some owners transformed their cars into boring daily commute runabouts rather than fire-breathing muscle cars. Whatever the case may be, the truth is, not all Mustangs are created equal. Yes, some are far better than others. Here is a list of the best Mustangs from each era. These cars are true representations of the Mustang heritage. They have the style that helped them leave a mark with their performance, looks, and image. This list doesn’t concentrate on the most expensive or rarest models. Rather, it focuses on the cars that are the best value and that you can drive and enjoy today. Thankfully, 54 years of Mustang history has provided car enthusiasts with many interesting models, so read on to learn more about them. This list doesn’t concentrate on the most expensive or rarest models. Rather, it focuses on the cars that are the best value and that you can drive and enjoy today. Thankfully, 54 years of Mustang history has provided car enthusiasts with many interesting models, so read on to learn more about them. Most of the automobile market was fascinated when they first saw the Mustang in 1964. With compact and sporty looks, a long hood and short deck and am an affordable price, it seemed unreal. But there was a small portion of knowledgeable car enthusiasts who were kind of disappointed. The reason was the technology and engine choices. The Mustang shared modest underpinnings with an economy car, the Falcon. The engine lineup included mild versions of six and small V8 units. The power output was nothing special and the performance was somewhat below the expectations. Ford responded by hiring Carroll Shelby and producing an almost racing-ready GT 350 in 1965. But for those who could not live with a screaming 306 HP 289 V8 engine in their GT 350, Ford prepared an interesting engine called the K-Code. The K-Code was 289 V8, but with milder, more street-friendly tune and 271 HP. This was more than enough for the decent performance Mustang fans wanted. With an optional GT package that included a stiffer suspension, updated equipment and lots of exterior details, the 289 HiPo or High Power was the choice of real car guys. Ford introduced it in 1965 and it was available until 1967. Notably, the 289 HiPo was the first Mustang that ran as well as it looked, especially if you ordered it in the gorgeous Fastback body style.